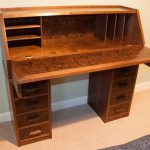 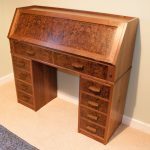 One of those rare commissions, a small writing desk or secretaire in American Black Walnut with burr panels and drawer fronts. 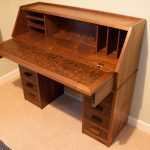 It’s increasingly difficult to get good boards of Walnut these days but after visiting 3 timber yards we found some prize boards. 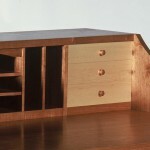 The carcase is made entirely of solid black walnut as are the drawers, we used Cedar of Lebanon for the drawer bottoms. 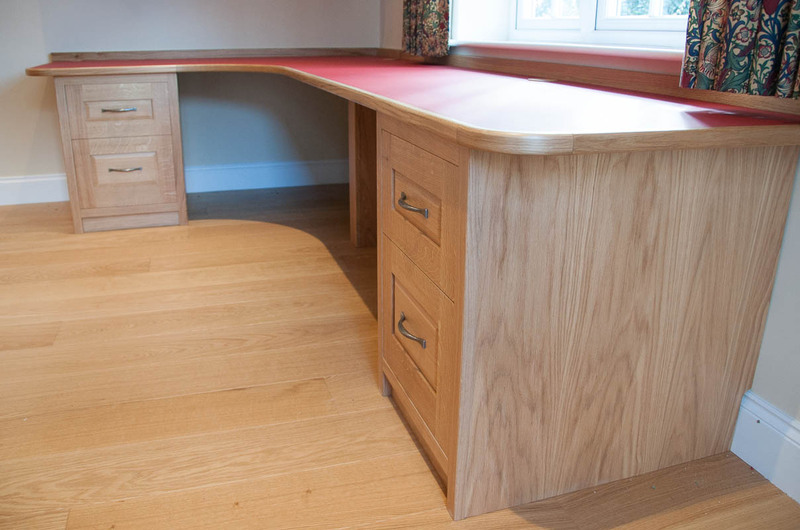 The Danish Oil and waxed finish really brings out the colour of this beautiful timber. 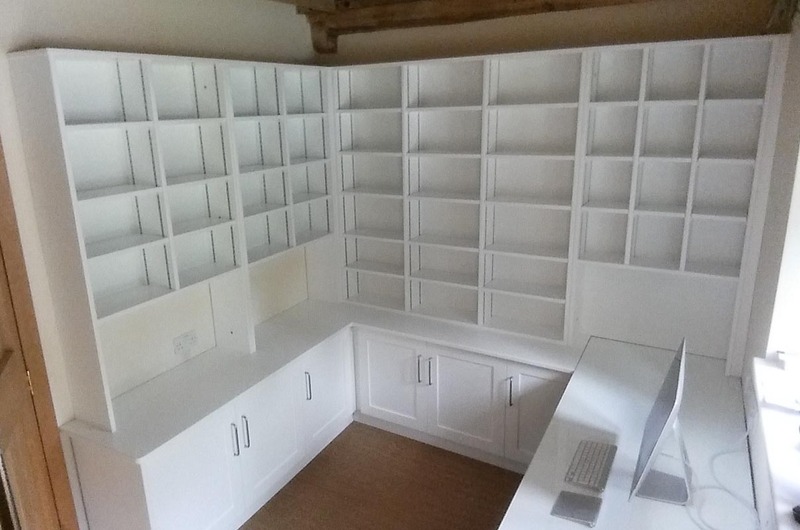 Shelves galore in this white painted study. 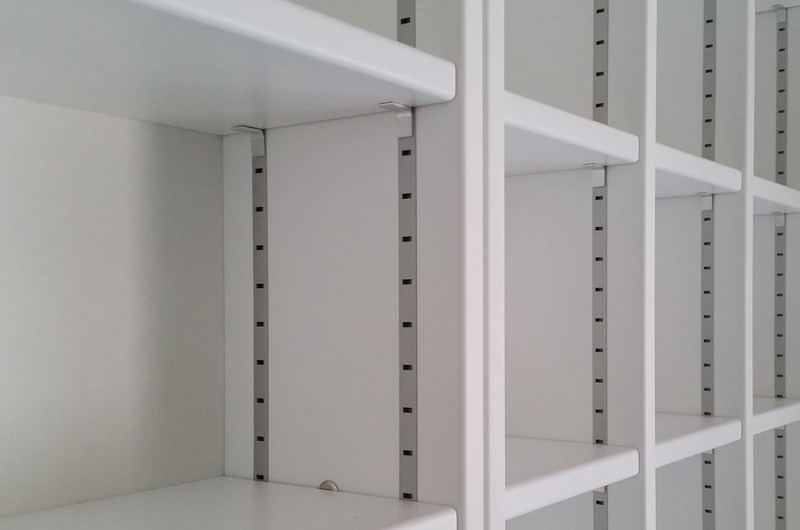 Fully adjustable shelves for versatility. 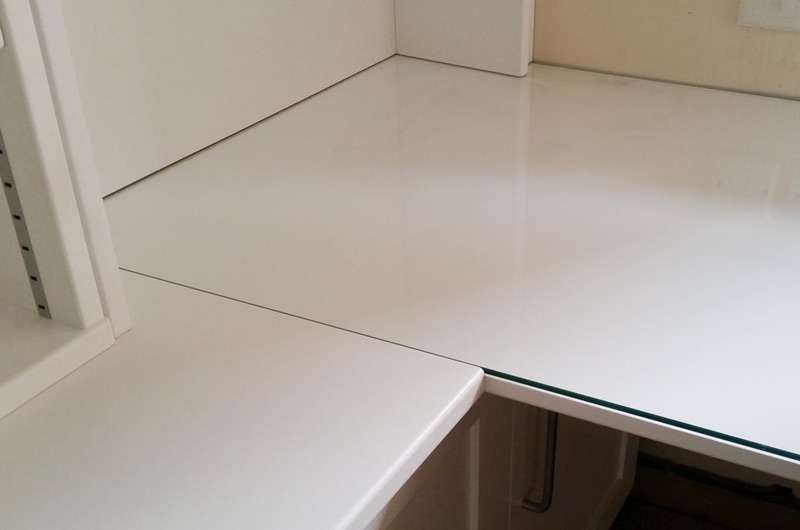 The desktop has a 6mm toughened glass surface made from low-lead glass to avoid a green tinge to the lacquered surface below. 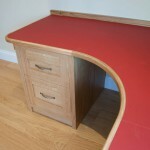 All finished with a super smooth mat lacquer, practical and hard wearing. 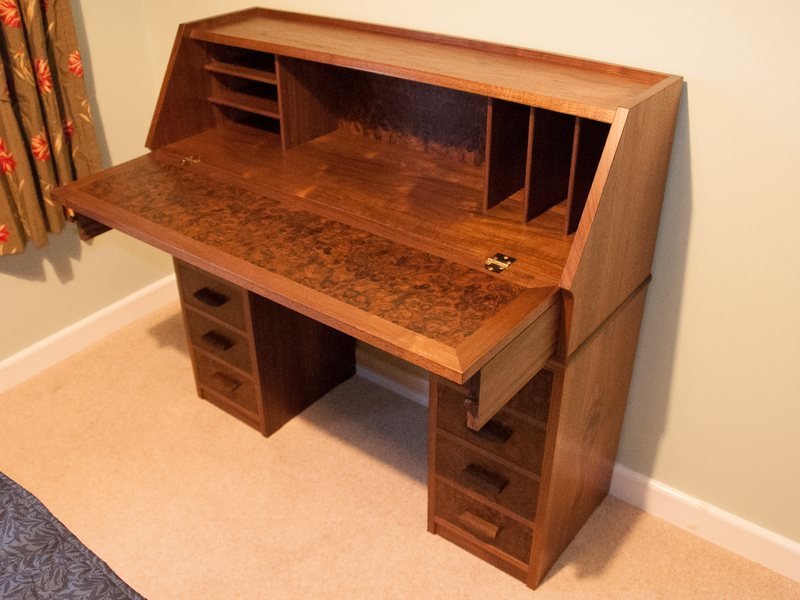 Home office desk in a style that we make quite often. 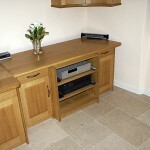 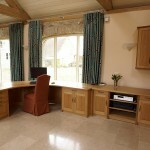 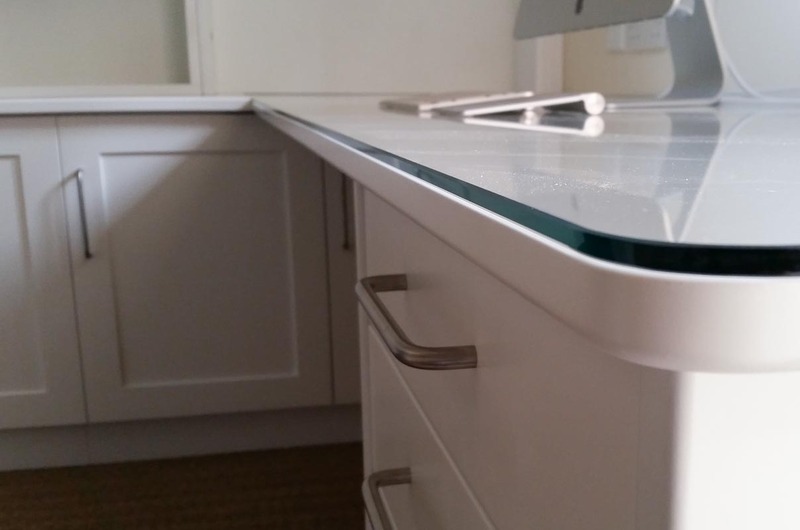 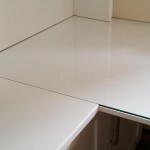 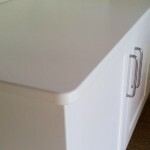 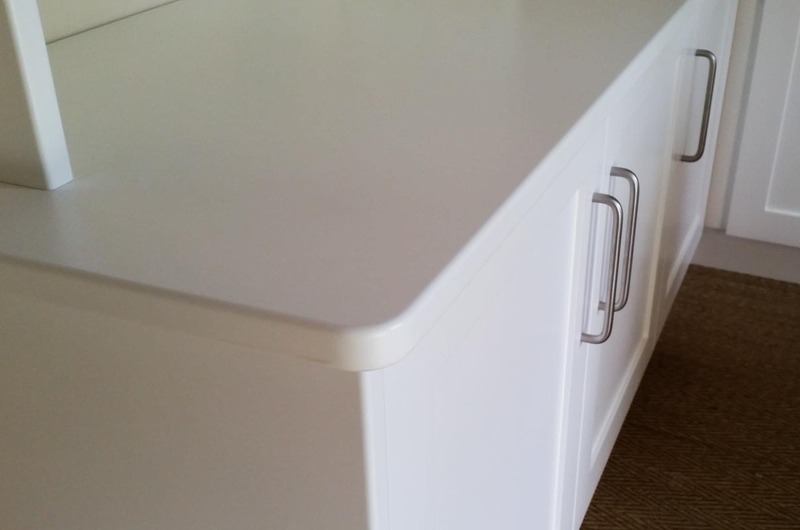 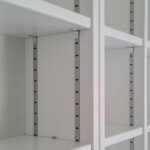 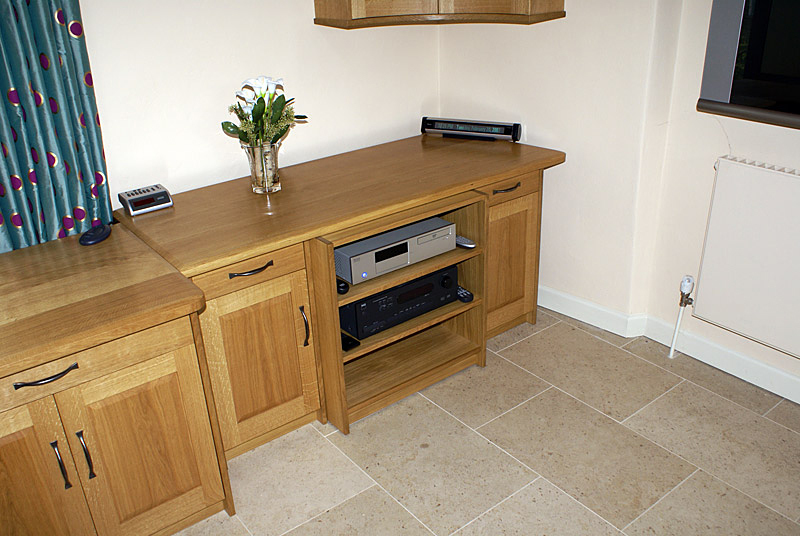 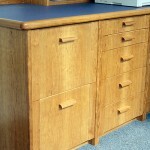 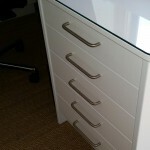 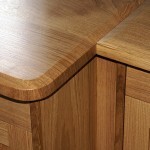 We can make any configuration of cabinets to go below the desk worktop. The desktop itself is finished with “Desktop Lino” by Forbo, which is a brilliant surface for the home office and comes in a really nice range of colours. 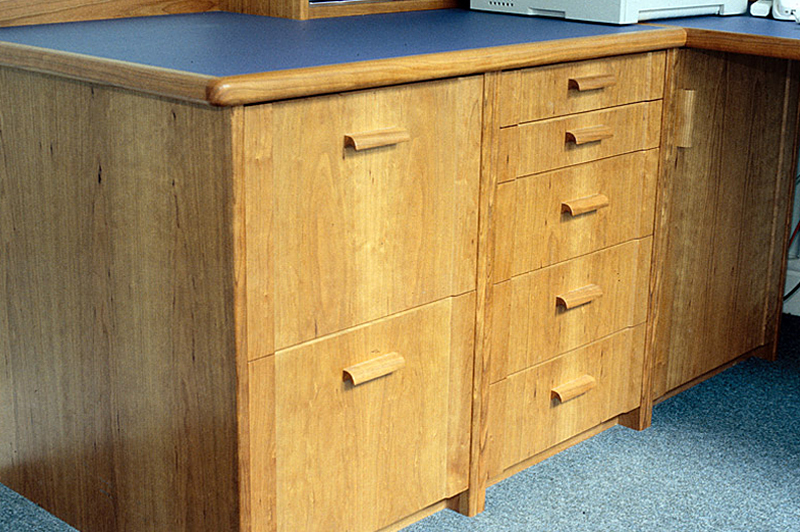 The lower drawers are made to take hanging files and all the drawers run on full-extension soft-closing runners. 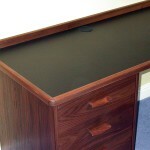 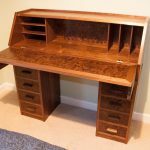 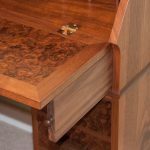 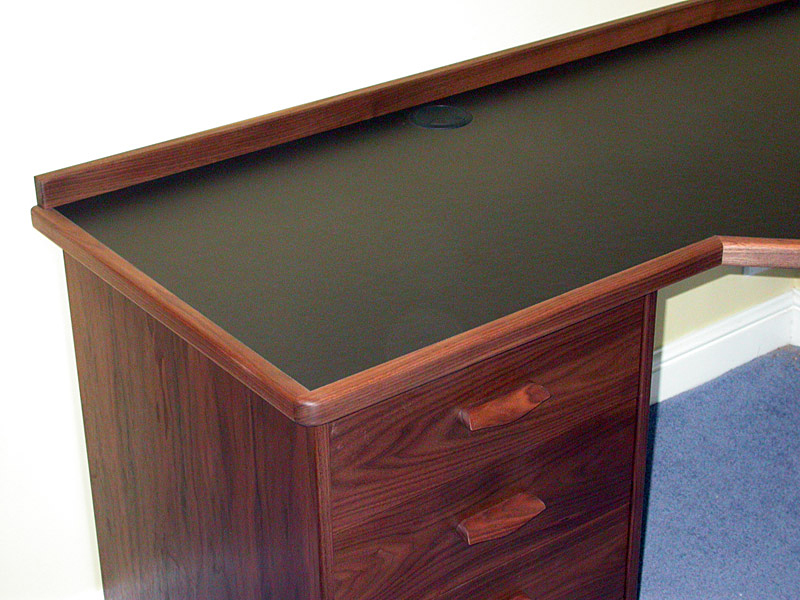 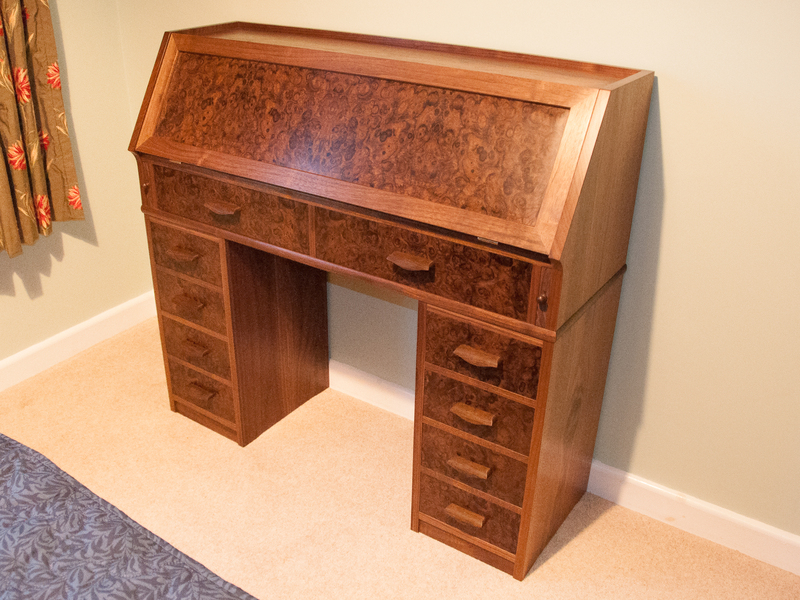 A Corner desk in American Black Walnut with Desktop Lino writing surface. 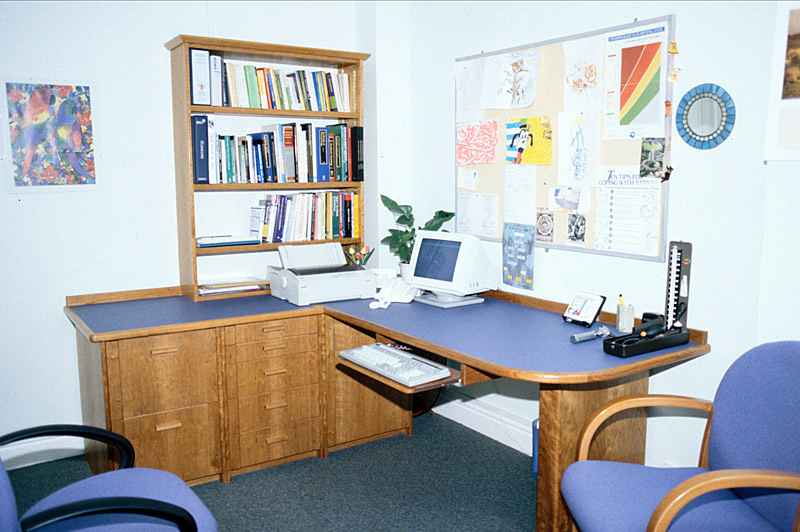 A large island double desk in a study with two working stations, one on either side. 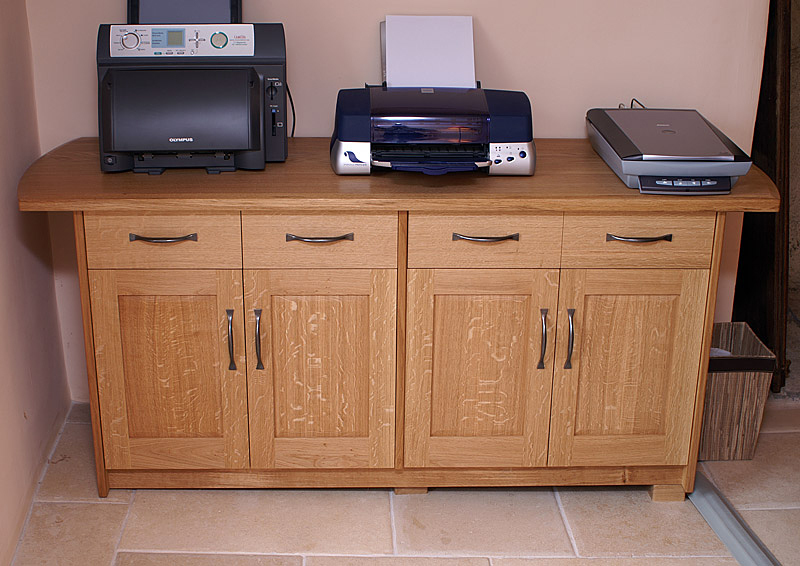 Also included are two sideboards one of which is used for printers and scanners etc. 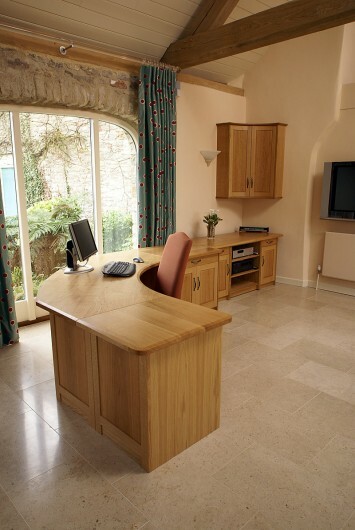 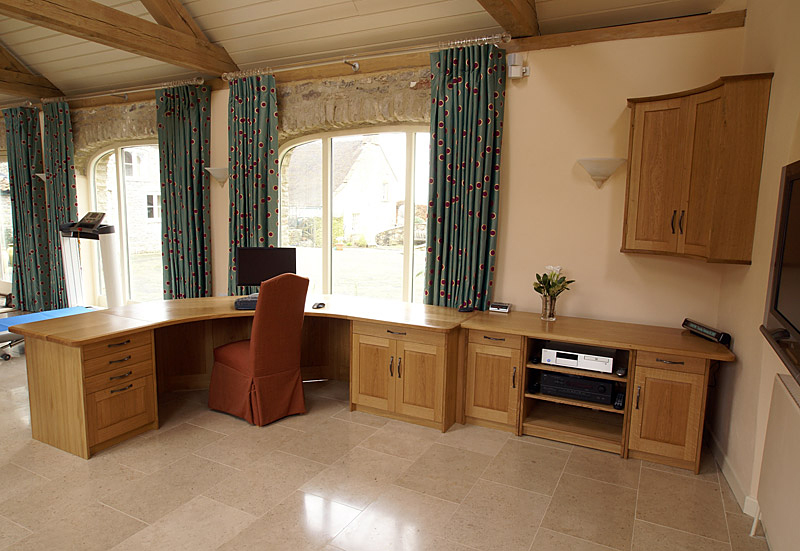 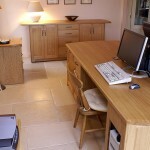 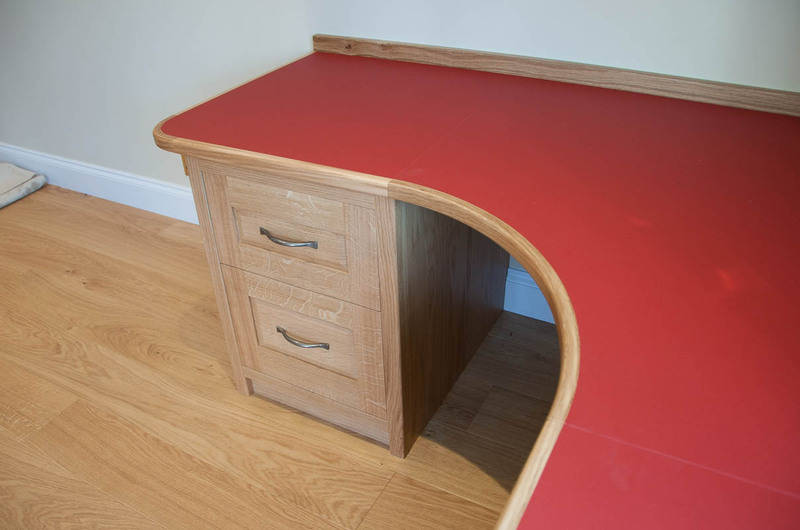 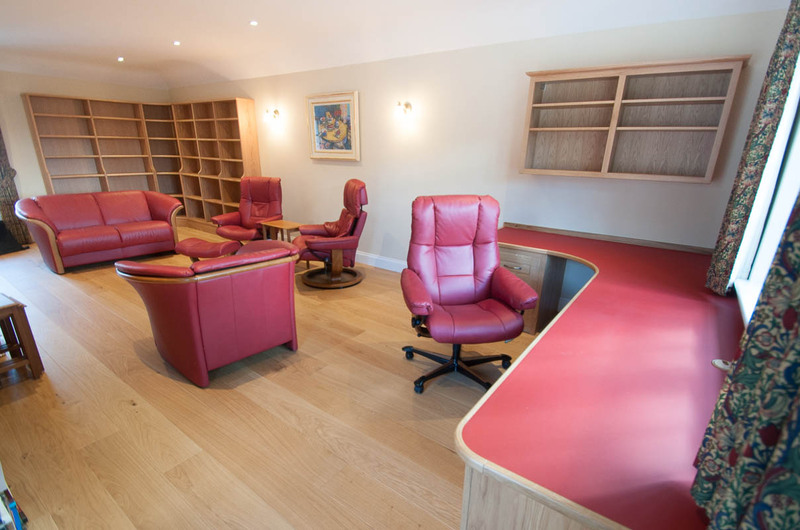 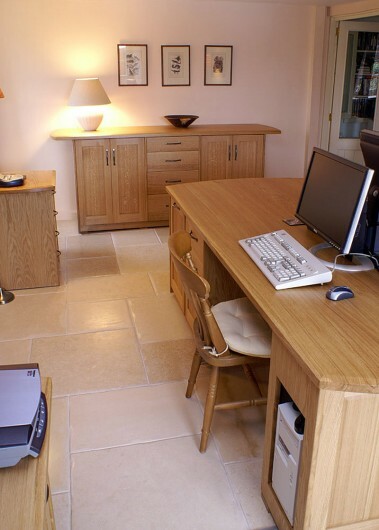 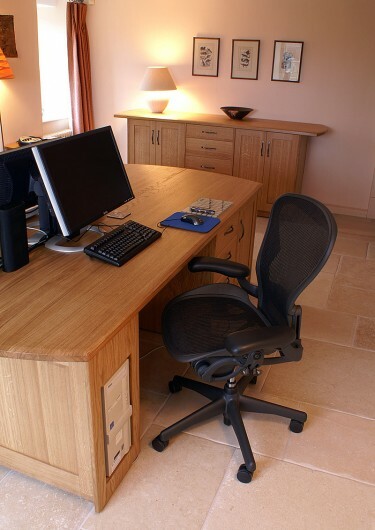 This commission was to design and build a practical but beautiful oak curved desk in a spacious and light barn conversion. 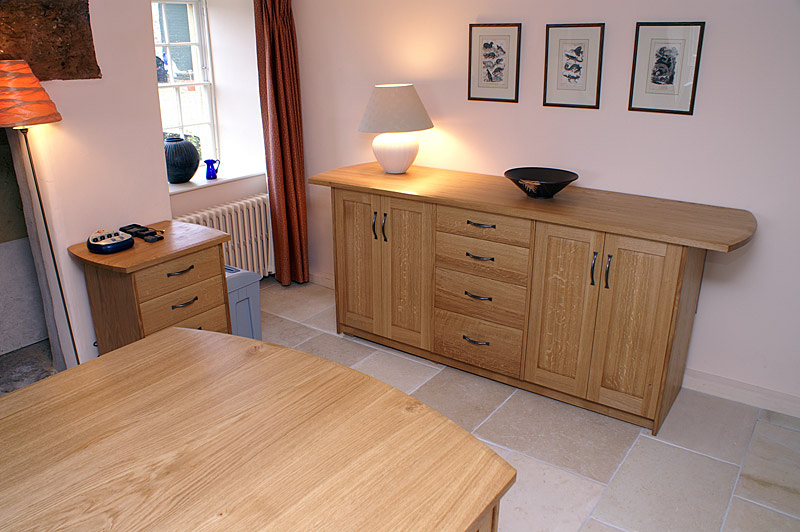 All the oak is finished with Danish oil which gives it a warm colour and lovely natural finish. 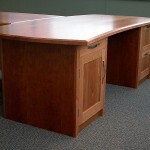 The central curved desk-top provides a very comfortable and practical working area. 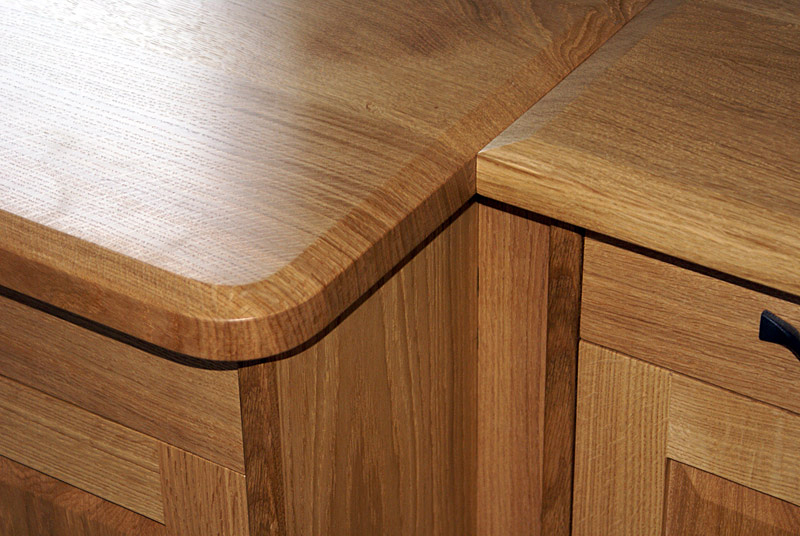 There is a convex curved corner cupboard which was fun to make and it certainly adds an interesting feature to the scheme. 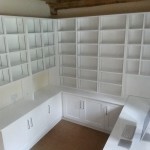 The client was extremely pleased with the result, as were we. 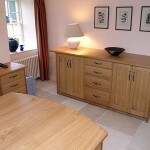 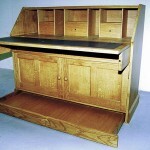 This was a lovely commission to design and make a handmade oak bureau in a fairly traditional style. It has cubby holes, small drawers and a writing flap with a tooled leather skiver. 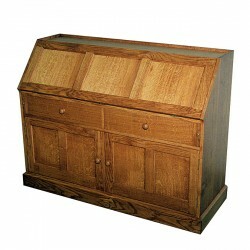 Unusually the plinth of this oak bureau conceals a large hidden drawer, useful for keeping confidential files and papers out of sight! Built-in doctors consulting room furniture. 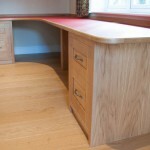 The timber used is American Cherry and the working surface is Desktop Lino. A Davenport desk in American Cherry with a tooled leather skiver for the writing surface. 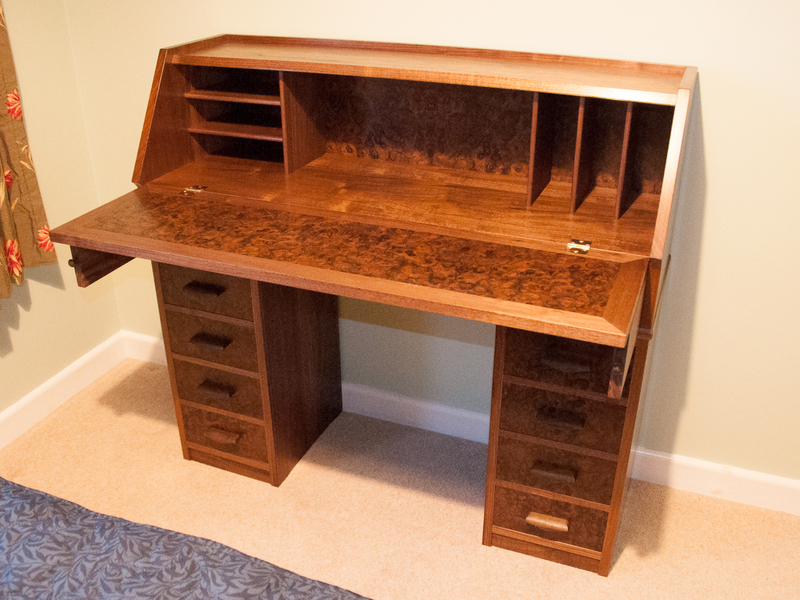 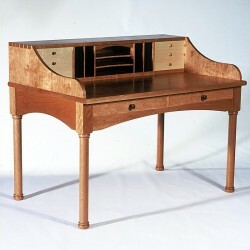 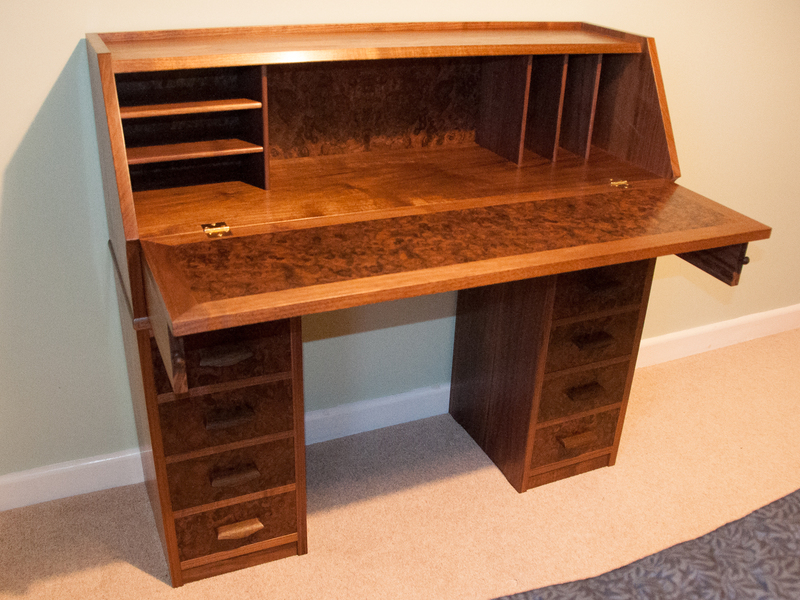 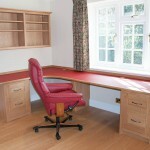 What a lovely commission this was, a Shaker style desk in American Cherry and Maple. 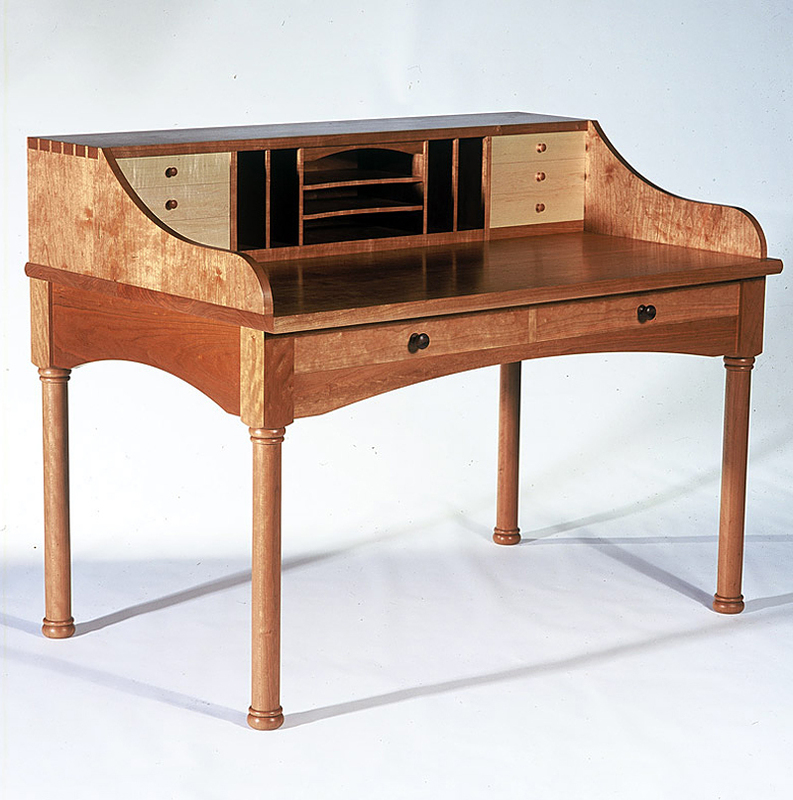 The design was based on an early American Shaker style desk. 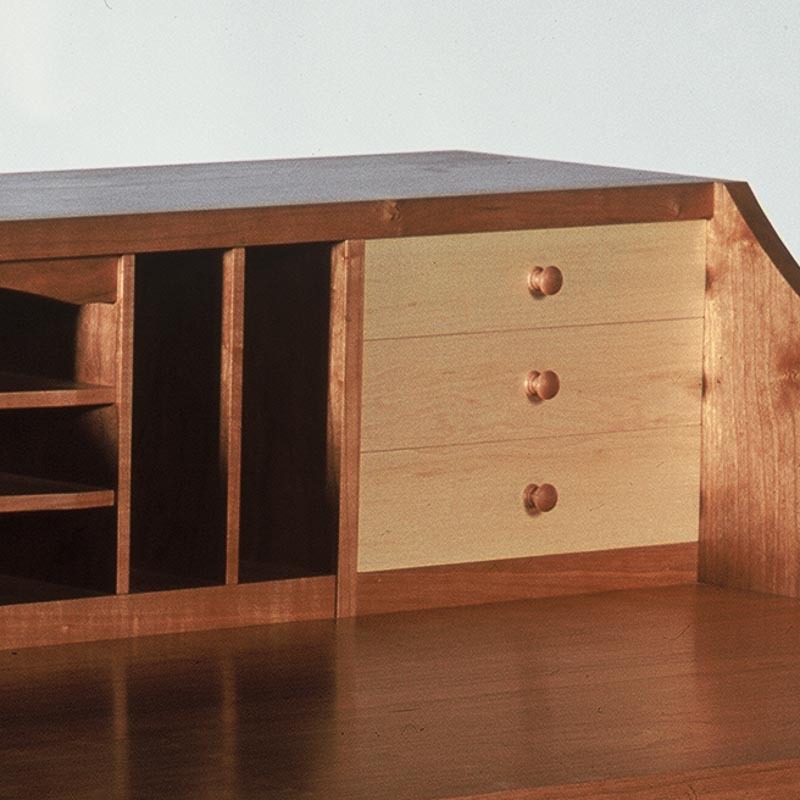 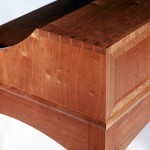 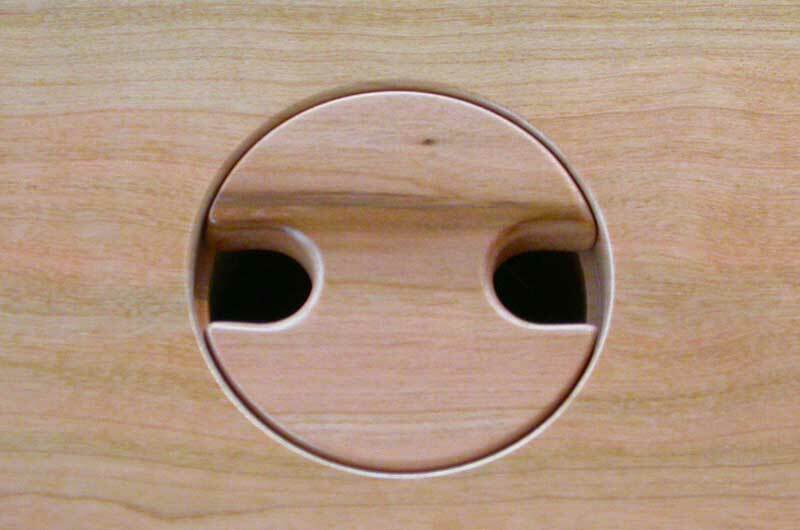 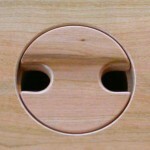 All the drawers are hand-dovetailed and the drawer bottoms are made of Cedar of Labanon. 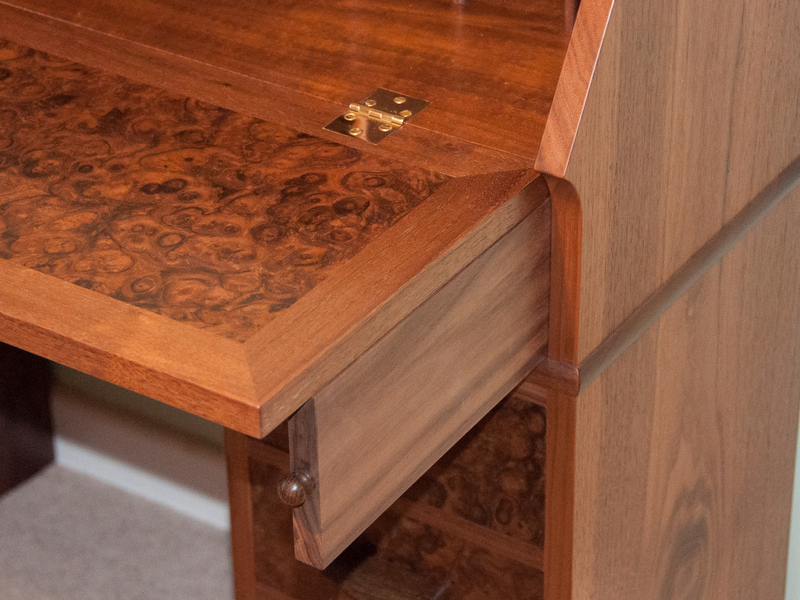 It’s always a pleasure to have the opportunity to do such fine work and this piece was no exception. 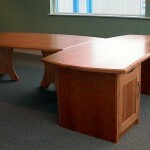 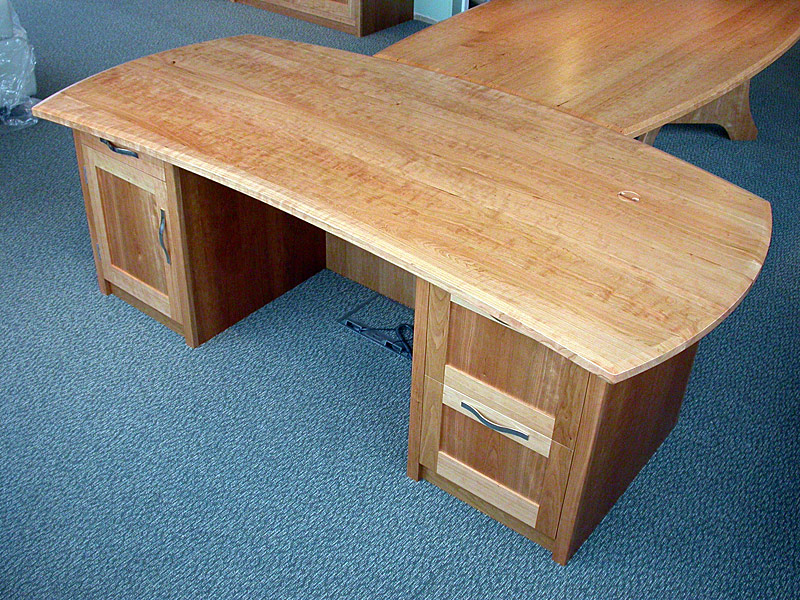 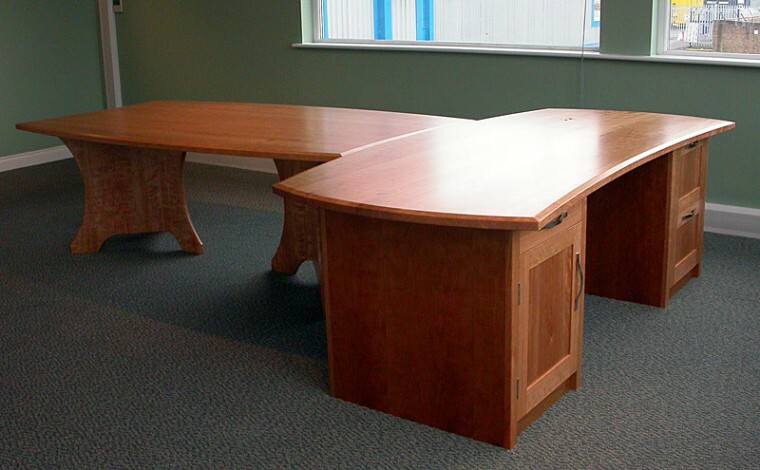 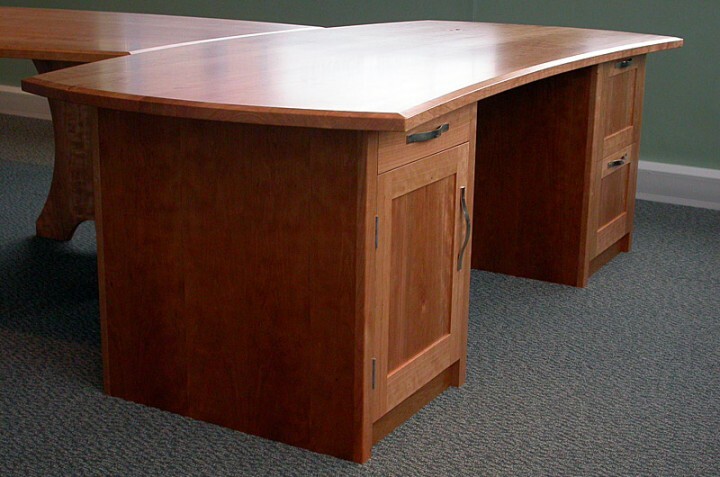 This is and interlocking executive desk and conference table, hand made in American Cherry. It was designed to go with a very grand credenza which we also made. 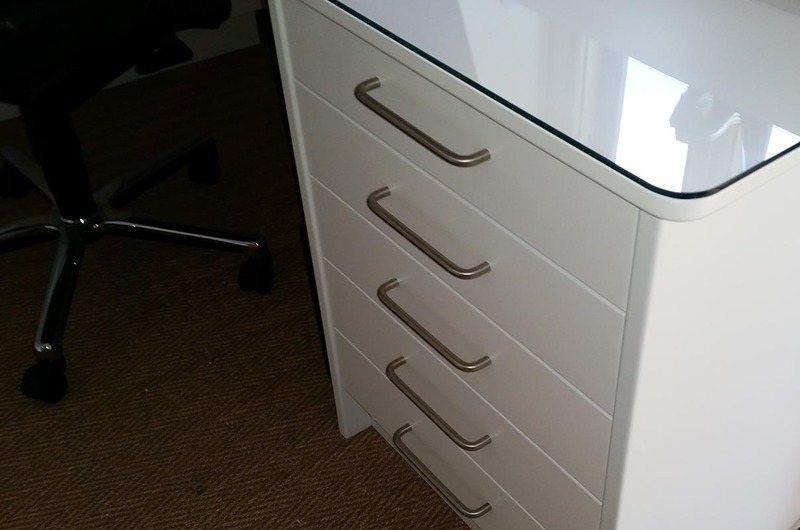 Cable management and filing drawers were also included. 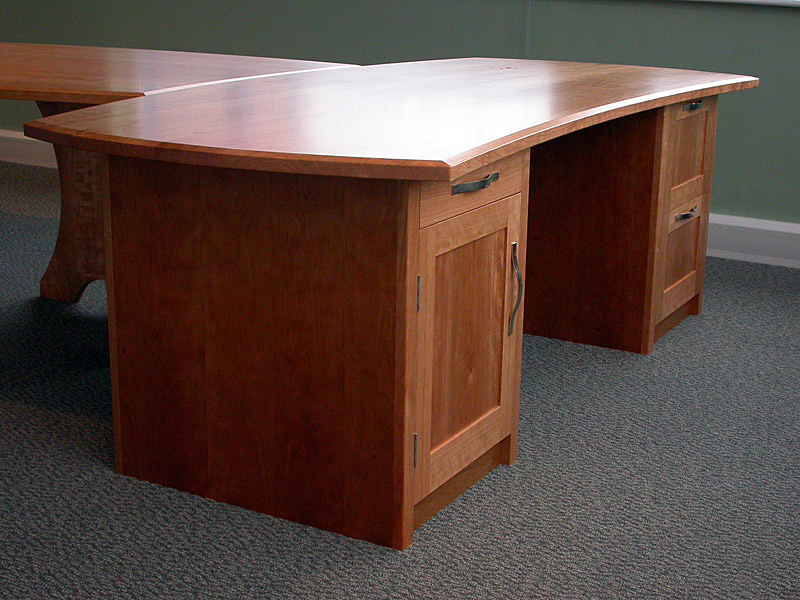 Handmade bespoke desks are one of our favorites. 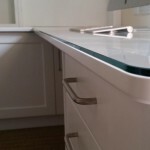 Each situation has its own requirements and a good design solution. 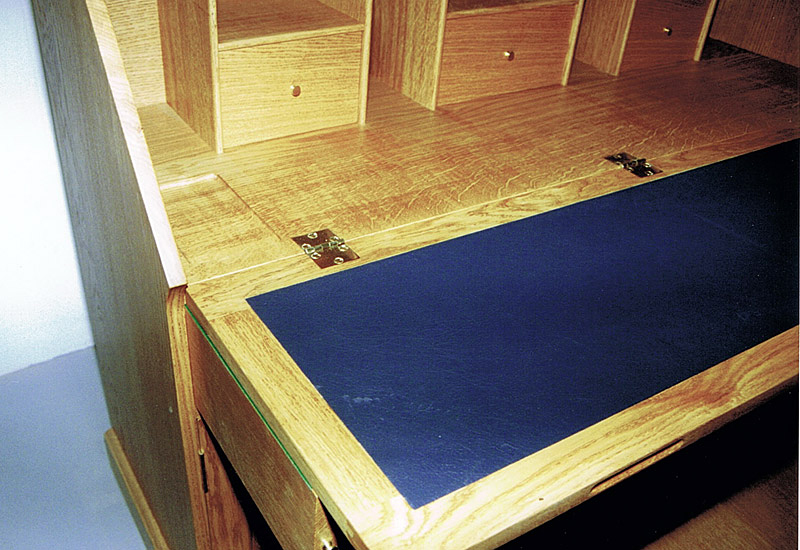 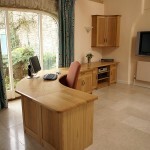 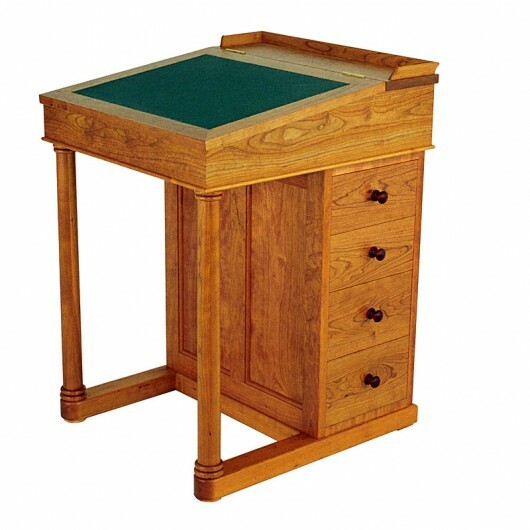 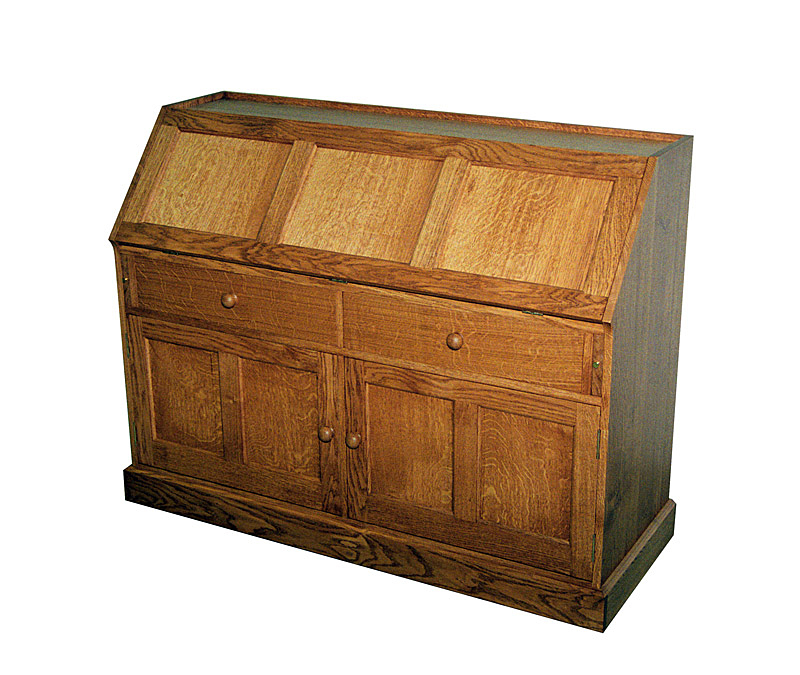 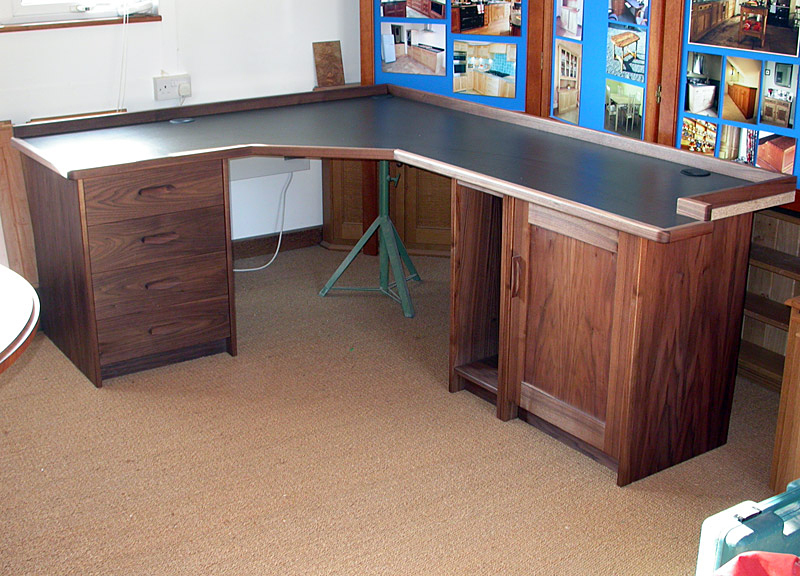 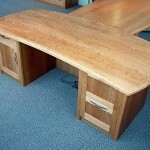 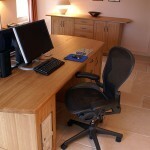 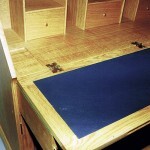 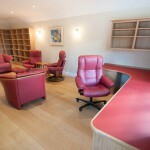 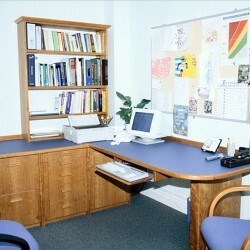 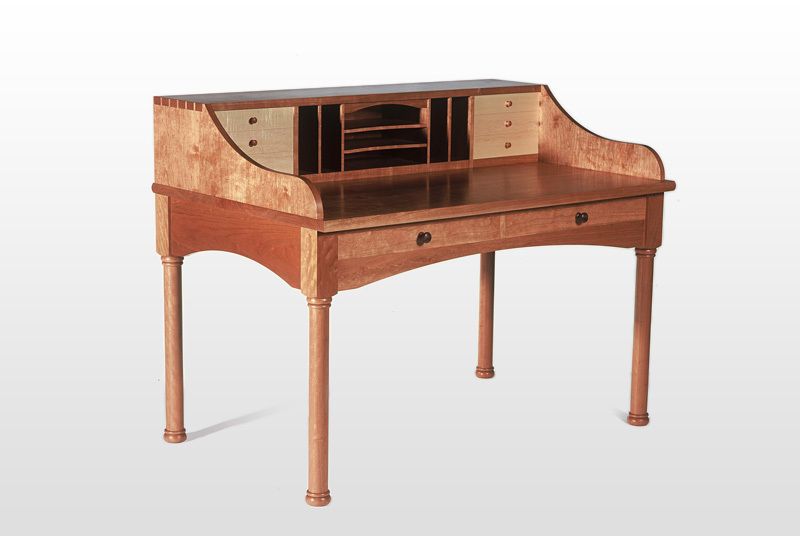 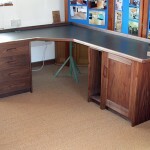 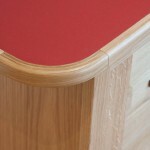 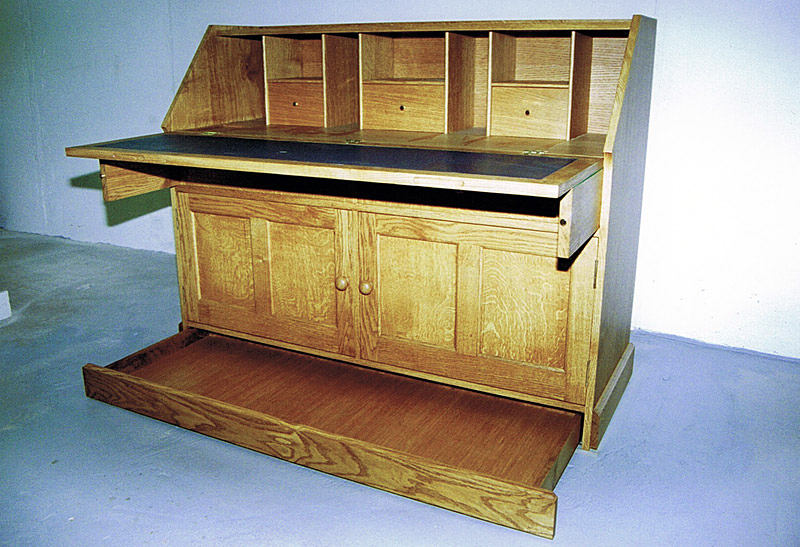 We have made Shaker- style desks and Davenport desks, knee-hole desks and built-in desks. 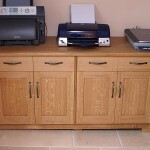 We can find ways to hide computer cables and build versatile storage areas for printers, scanners and the paraphernalia that goes with modern technology. 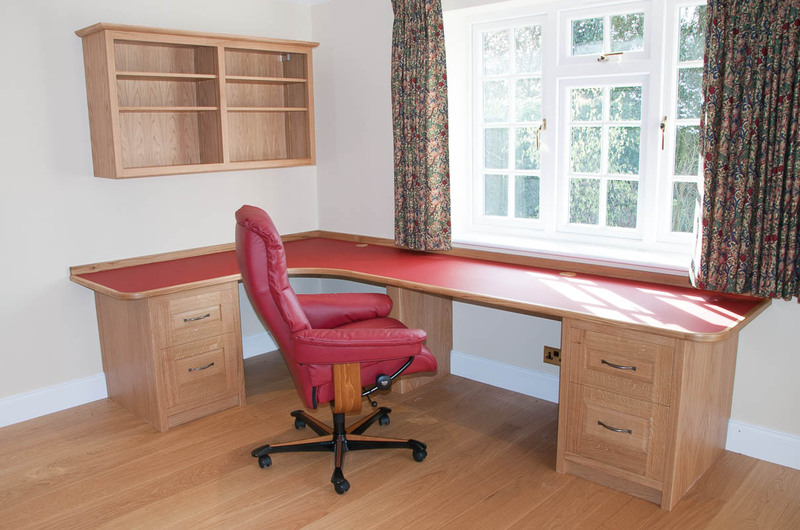 We use mainly hardwoods such as Oak, Cherry and Walnut, sometimes with desktop lino or leather surfaces, but we are versatile, and the choice is yours. 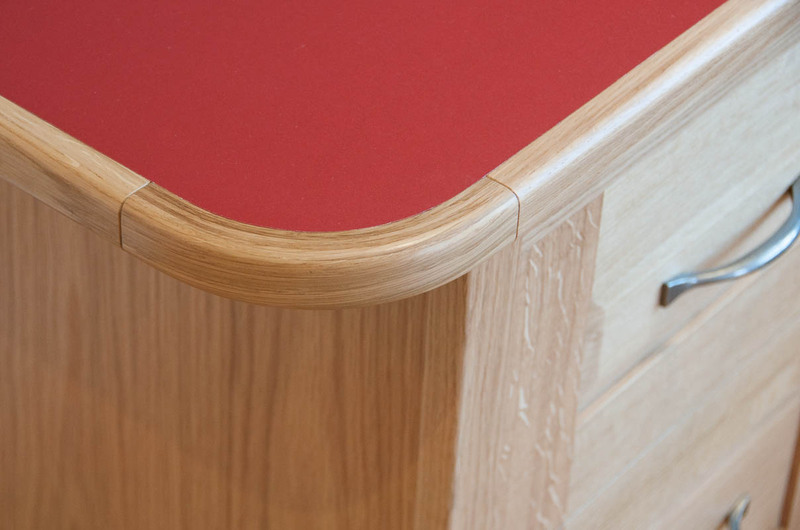 © 2013 David Armstrong Furniture Ltd. All rights reserved.